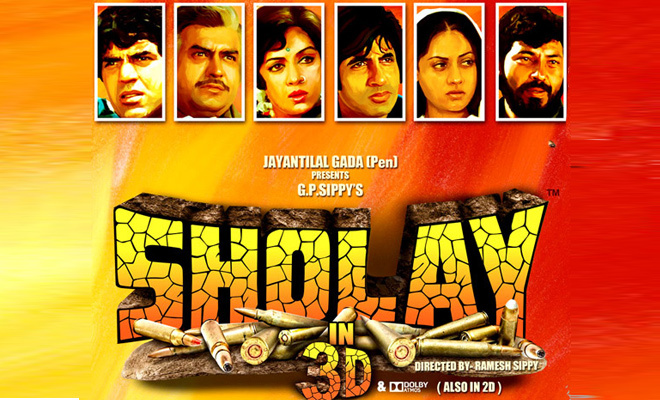 Sholay 3D is having a respectable run at Box Office in terms of collections that the movie has made over last six days at Box office. 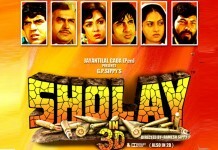 Sholay 3D 6th Day Collections were not that bad as the movie was able to collect around 1 crore at Box Office on sixth day. The total collections that the movie has made till now is around 9 crores. The other release of this week Mr. Joe B Carvalho staring Arshad Warsi and Soha Ali Khan is rejected by the masses. Dhoom 3 finally shows some sign of slowness in its 3rd week, still the Box Office collections are better than this week releases. Let’s have a look at facts and figures for Sholay Box Office Collections for 6th Day.